What do you usually do in your free time? Do you like socializing? 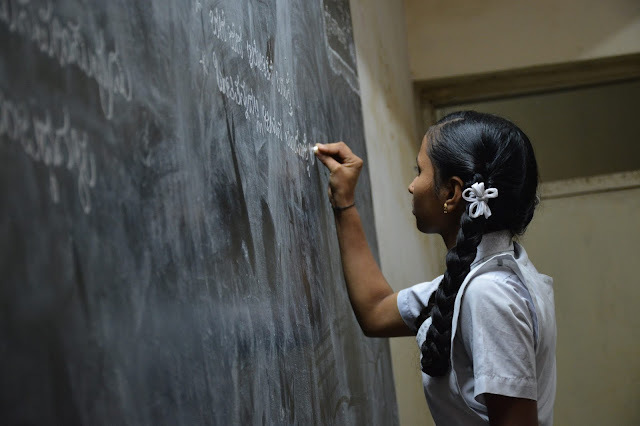 Do you like learning languages? Have you joined any social and language meetups? I have joined several meetups before I finally had the courage to organize my first meetup. I'm not an extrovert person, so it needs a big effort to dare to contact friends, acquaintances, and even strangers, and invite them to my meetups. Thinking about it in another way, it's like doing sales and marketing. 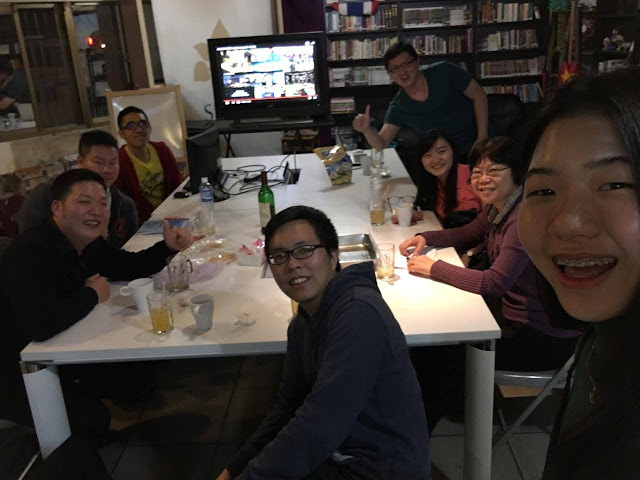 In a very short time, I could manage to organize 3 social and language meetups, that have been successfully organized every week. I'll tell you the stories below. I am lucky to find this comfortable place nearby where I live. 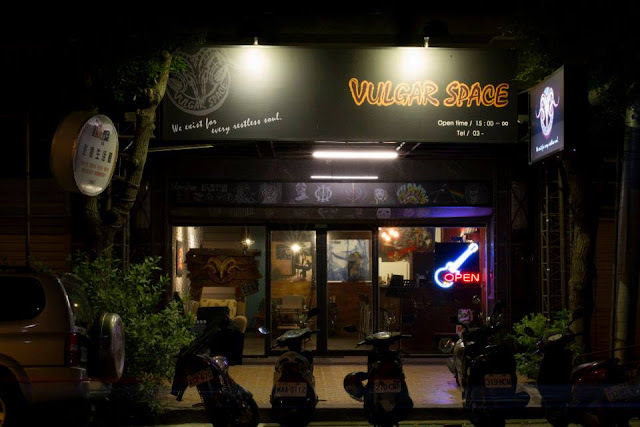 It opens from the evening until early morning, so this is certainly a perfect place for social meetups. 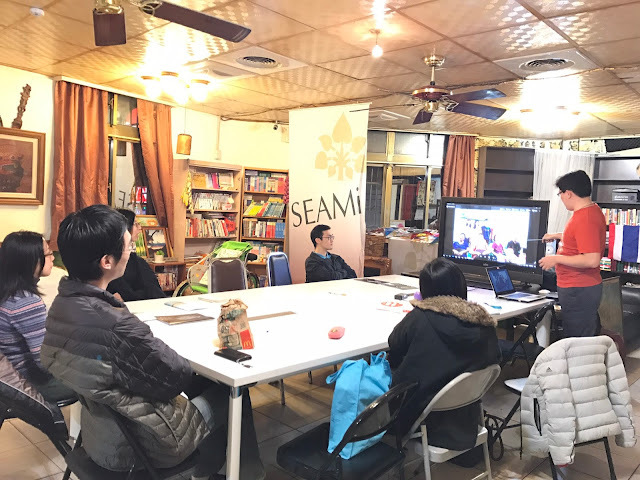 This event is named "Language and Social Meetups" because participants not only can know new people but they also can exercise their oral English or other languages at the same time. There had been some Indonesian, Spanish, Portuguese, Russian, Slovak speakers joining the events. There were even polyglots! The participation is not regular for everyone, so you can always meet new people at each event. 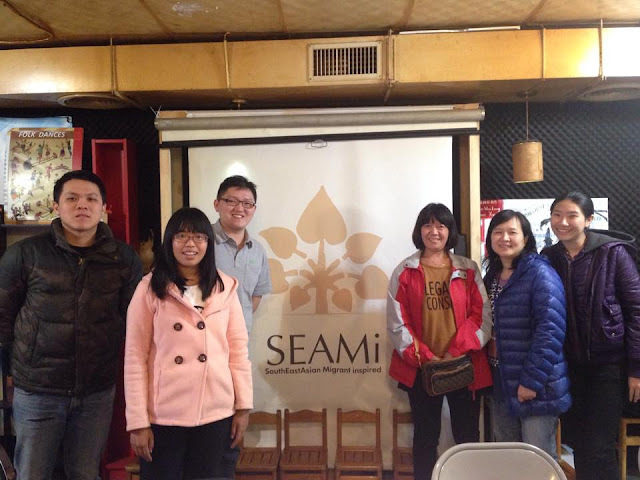 This is a cojoined meetup with SEAMi (SouthEastAsian Migrant inspired), an NGO from Taiwan whose aim is to introduce Southeast Asia. SEAMi not only have a big space for cultural activities but also a library with books in all Southeast Asian languages. Here is one of a few places in Taiwan where you can find so many books in Southeast Asian languages. There are participants from all walks of life, with many interesting stories about themselves and Indonesia to share with everyone in the meetup. During the meeting, we use mainly Chinese because the participants are Taiwanese but some of them also can speak Indonesian and English. I teach them the Indonesian language and share interesting stories, such as tourism and culture in Indonesia. It started from the lacking of meetups for Portuguese speakers, so one American polyglot friend that I met in one language event created a group in LINE. There were only 3 members in the beginning. Then, I got the idea to arrange a meetup so that we can use Portuguese more effectively in real life. The decision to arrange it in TRUST cafe for the second meetup was taken after a recommendation from a Taiwanese friend. The first meetup was just an informal dinner in a randomly-selected restaurant nearby Fujen University (see the picture above). Since then, we started to get more members from various countries, like The United States, Sao Tome and Principe, Portugal, and Brazil. And we definitely try our best to speak only Portuguese in Portuguese meetup.